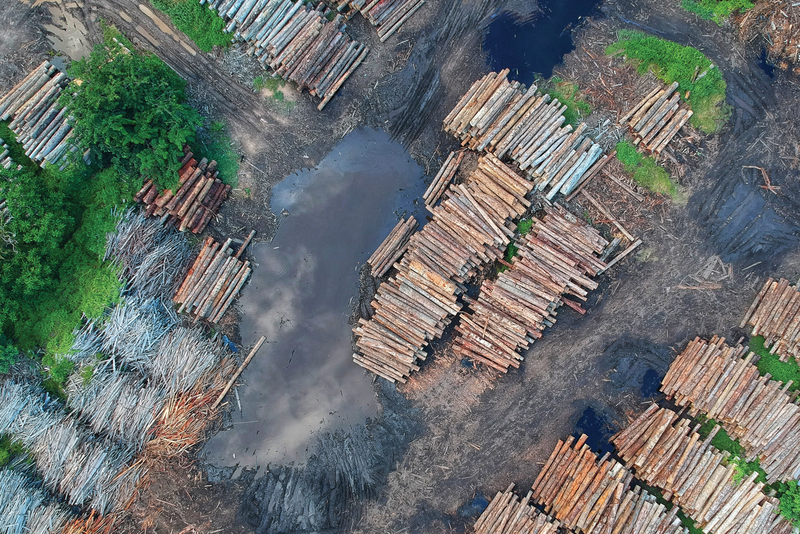 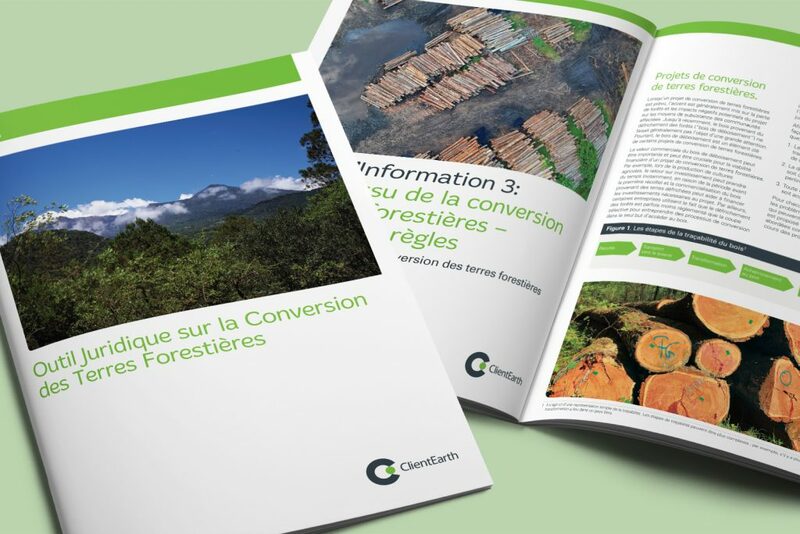 ClientEarth’s guide for law-makers helping them through processes of law reform to address legal frameworks governing forest conversion with a view to limiting forest loss. 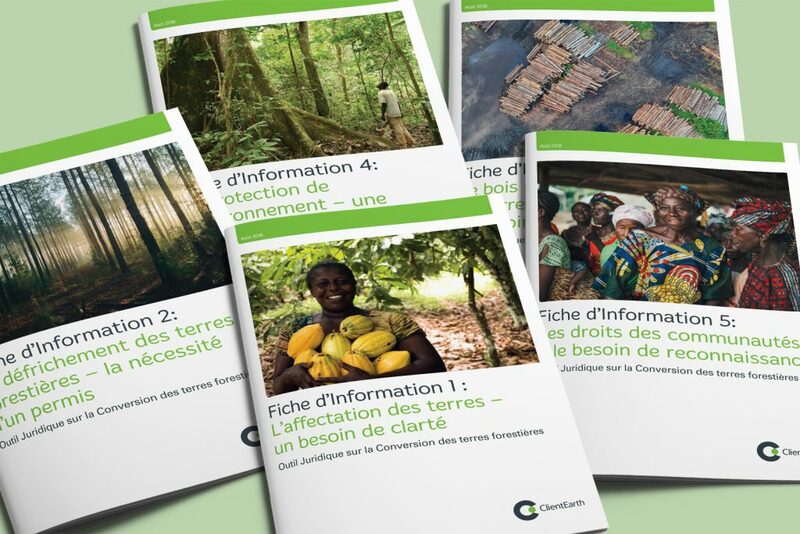 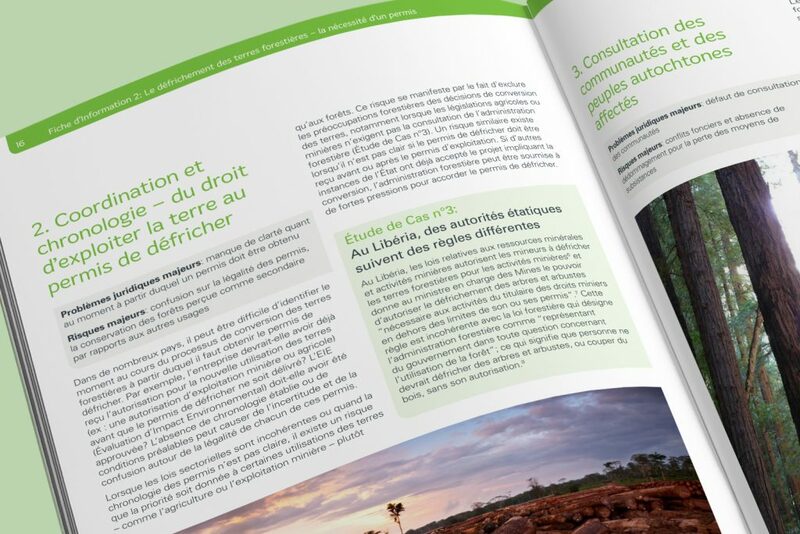 To design a series of factsheets as well as a combined document (in French) for a legal toolkit intended to inform law-makers about key legal issues that may arise when forests are cleared for conversion to another use, including agriculture, mining, infrastructure or urbanisation, and the risks that may stem from those issues. 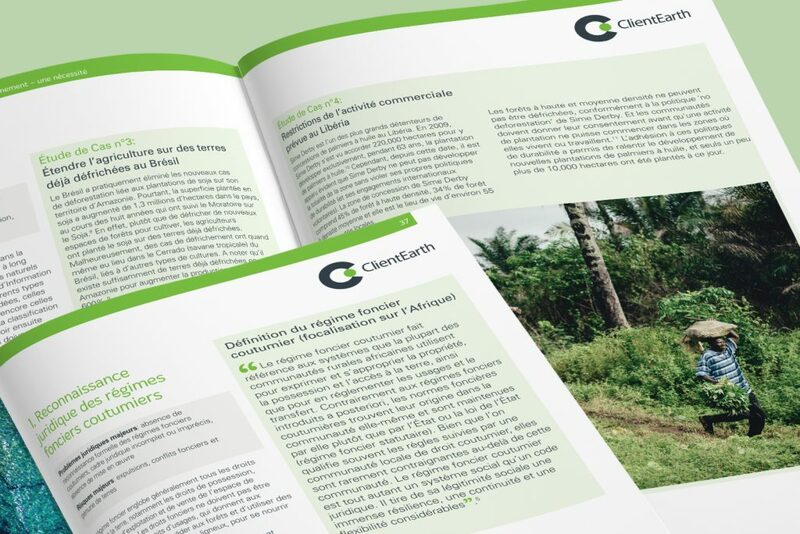 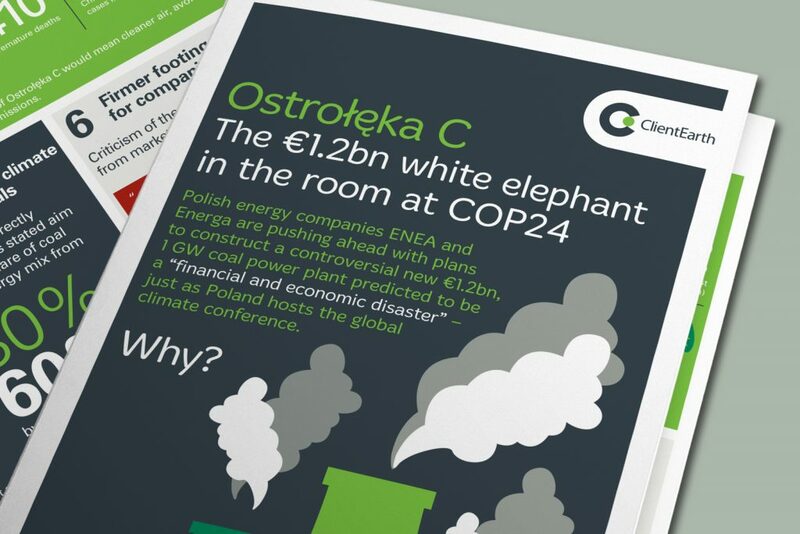 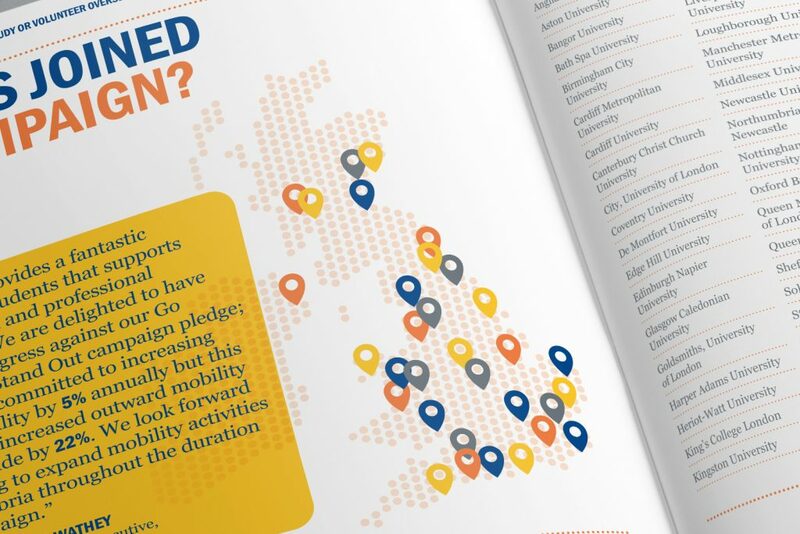 We designed 5 seperate factsheets and an introductory sheet as well as a combined 48 page A4 printed brochure. 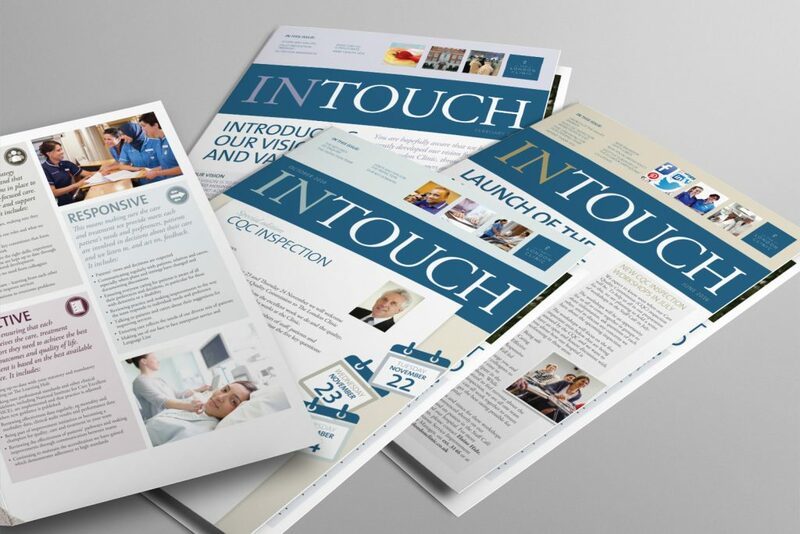 A strong typographic hierachy was introduced along with case study treatments and strong, people focussed photography.